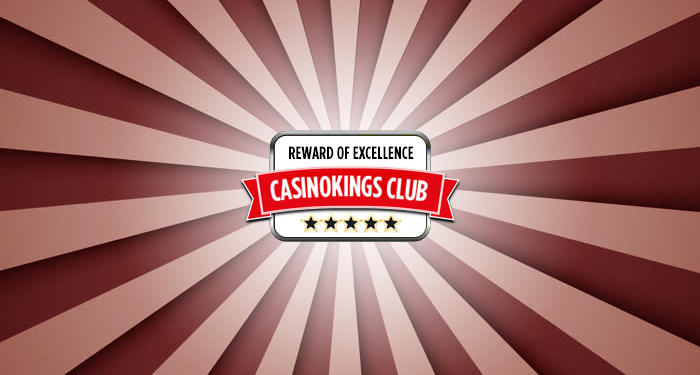 We have introduced the Casinokings Club Reward of Excellence for a number of reasons. As you probably have read, we are keen on which online casinos we list and which we don’t list. We check every applying online casino on a number of criteria and if our standards are not met, we will not list it. This way we want to make sure we offer the visitors of our site the best selection of online casinos out there. The last thing you want is to end up at a rogue casino just because of a promising bonus. Last year we took this a step further by introducing our casino blacklist. Unfortunately, this list grew quite fast and continues to grow today. There are still a lot of online casinos that don’t put their players first and treat them unfairly. We feel it is one of our goals to warn players that go online and to make sure they have a good time when trying their luck. We don’t want that spoiled by rogue casinos that are scamming players who think they are playing a fair game. Now if we are this strict on listing casinos on our site and blacklisting rogue casinos, we thought it would also be nice to reward the online casinos that put extra effort in giving their players the best casino experience and the best service possible. All listed casinos run an honest shop, but as a player, you want that little bit extra from your casino, right? This is why we introduced the Casinokings Club Reward of Excellence. Only the best of the best will get the seal with our Reward of Excellence and they will have to continue the good work to keep it. This is our way to show appreciation for the online casinos that take responsibility and appreciate their players and at the same time, it is an extra help for our visitors in picking the online casino of their choice.